Curb Chain lenght 38,0 cm with bolt ring as lock. a fine silver chain for men and women also for pendants. Curb Chain lenght 40,0 cm with bolt ring as lock. a fine silver chain for men and women also for pendants. Curb Chain lenght 45,0 cm with bolt ring as lock. a fine silver chain for men and women also for pendants. Curb Chain lenght 50,0 cm with bolt ring as lock. a fine silver chain for men and women also for pendants. Curb Chain lenght 55,0 cm with bolt ring as lock. a fine silver chain for men and women also for pendants. Curb Chain lenght 60,0 cm with bolt ring as lock. a fine silver chain for men and women also for pendants. Curb Chain lenght 65,0 cm with bolt ring as lock. a fine silver chain for men and women also for pendants. Curb Chain lenght 70,0 cm with bolt ring as lock. a fine silver chain for men and women also for pendants. Curb Chain lenght 75,0 cm with bolt ring as lock. a fine silver chain for men and women also for pendants. Curb Chain lenght 80,0 cm with bolt ring as lock. a fine silver chain for men and women also for pendants. Curb Chain lenght 85 cm with bolt ring as lock. a fine silver chain for men and women also for pendants. Curb Chain lenght 90,0 cm with bolt ring as lock. a fine silver chain for men and women also for pendants. Curb Chain lenght 95,0 cm with bolt ring as lock. a fine silver chain for men and women also for pendants. Curb Chain lenght 100,0 cm with bolt ring as lock. 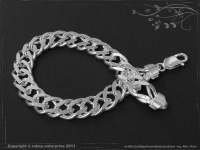 a fine silver chain for men and women also for pendants.